The lat pulldown is a strength training machine designed to tone the largest flat muscle in your back, the latissimus dorsi, by moving external weights while keeping your body fixed. This piece of equipment has thigh pads which can be easily adjusted to provide both stability and comfort. 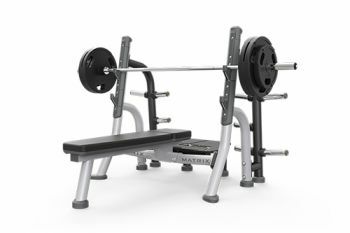 You can also benefit from a straight bar with angled ends that ensure correct arm and writing position throughout the entire range of motion.